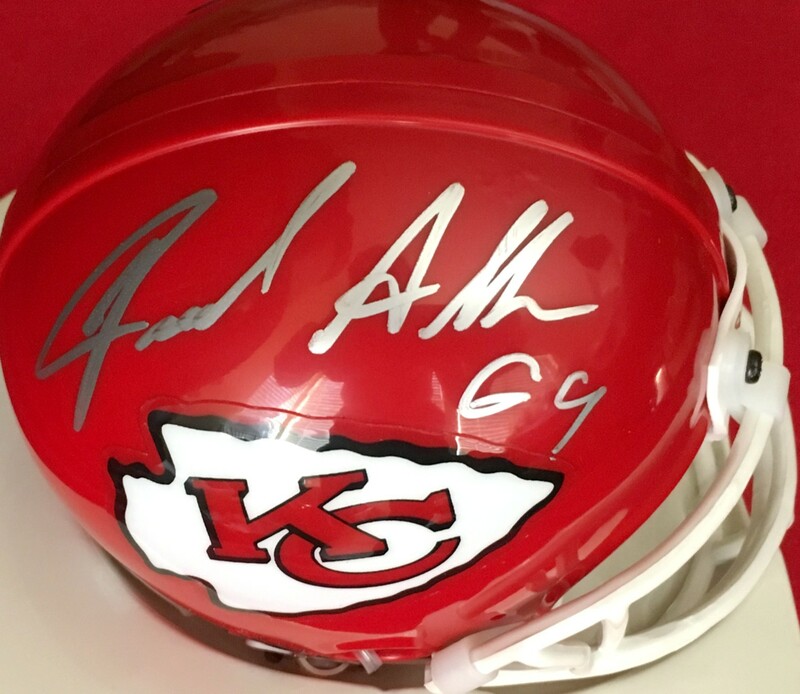 Kansas City Chiefs mini helmet autographed beautifully in silver paint by former defensive end Jared Allen, who began his stellar NFL career with the Chiefs. Obtained in person, with certificate of authenticity from AutographsForSale.com. ONLY ONE AVAILABLE FOR SALE.